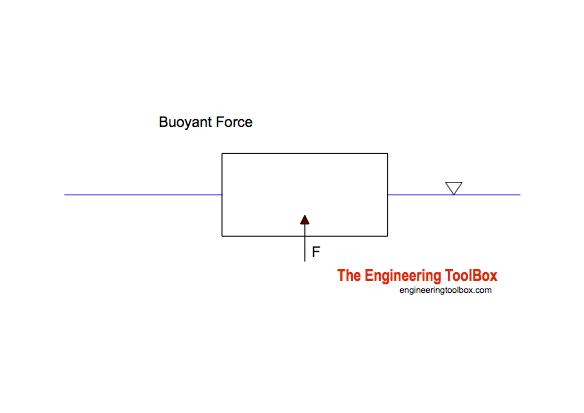 The buoyant force acts upwards. "the upward buoyant force that is exerted on a body fully or partially submerged in a fluid - equals to the weight of the fluid that the body displaces"
A plastic box with length 0.3 m and width 0.4 m is submerged 0.1 m into water. The water density is 1000 kg/m3. Engineering ToolBox, (2009). Buoyancy. 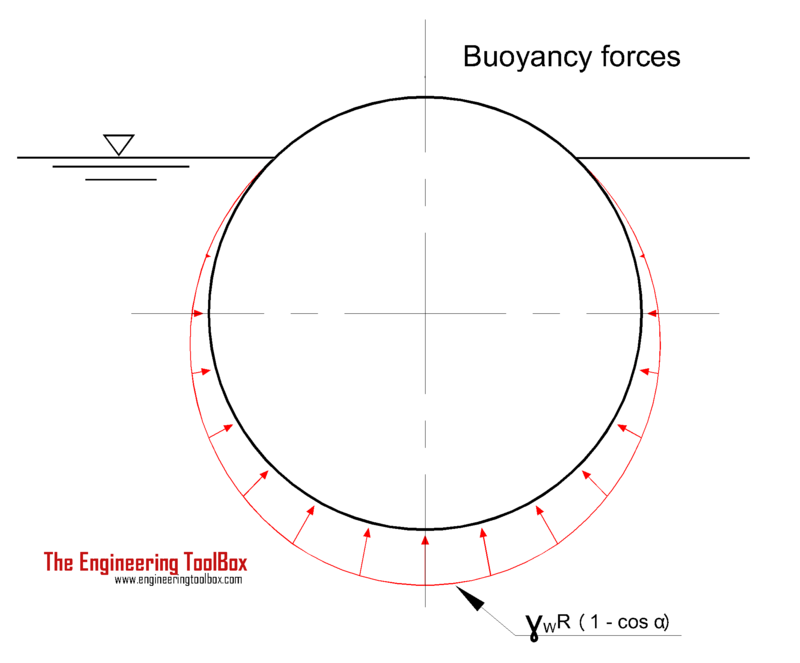 [online] Available at: https://www.engineeringtoolbox.com/buoyancy-force-d_1485.html [Accessed Day Mo. Year].